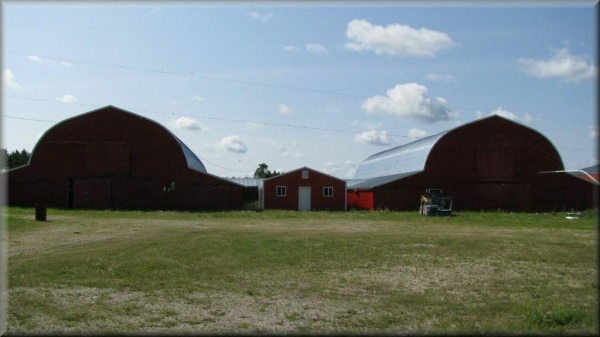 ½ section of well developed land with two 8,000 ft² insulated buildings attached by an insulated walk-way and an insulated/heated office. 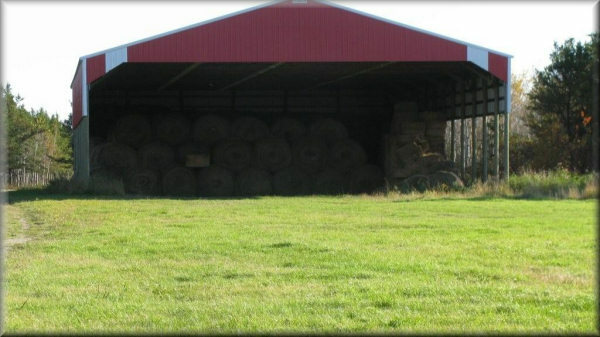 Adjacent to the buildings is a pole shed (40' x 60') with railroad tie/pipe corrals; a hay shed (100' x 60'); and a workshop (60' x 40'). All of the land is fenced and cross fenced with 4 automatic waters and 4 dugouts. In addition there is a 2,800 ft² open concept home with 3 bedrooms, a sunken living room, main floor laundry and lots of updates. 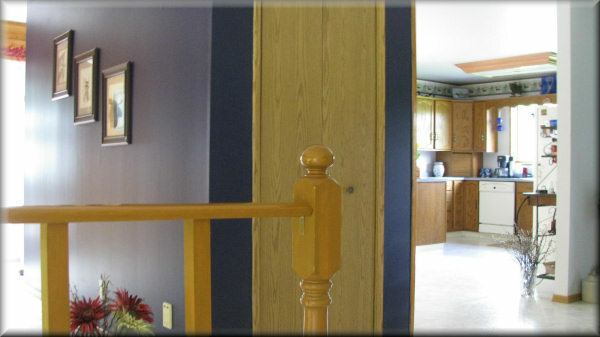 All of the bedrooms feature walk-in closets and the main bathroom is very large (14' x 12') with a big window. There is a large entrance with mud room. The house also features a deck with a gazebo and a brick patio on the front. 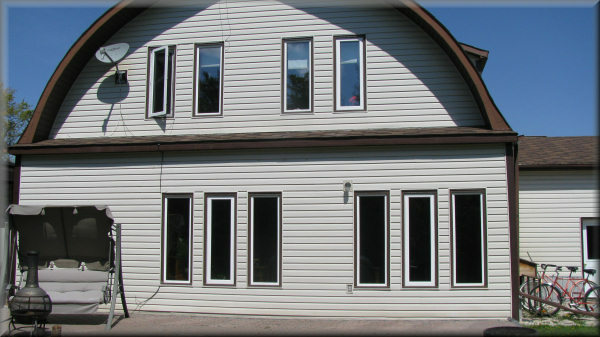 Windows, siding and shingles were all updated in 2003. 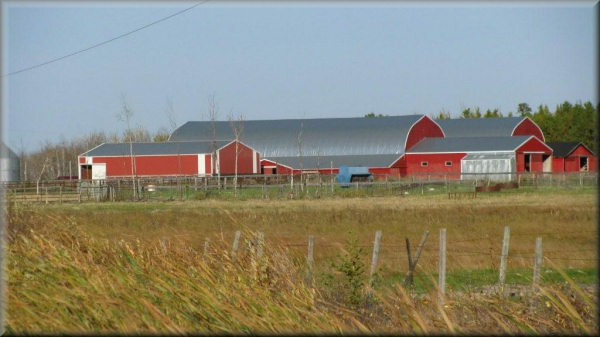 This property has endless possibilities for business in manufacturing, outfitting, intensive farming e.g. 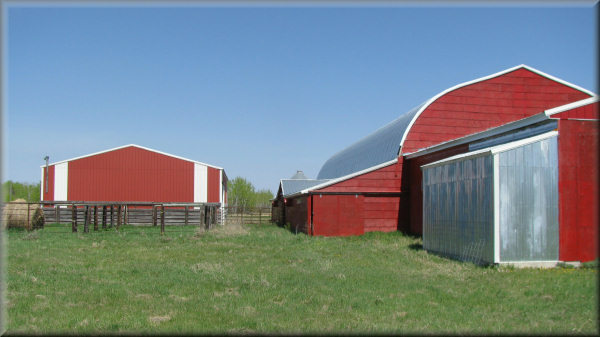 chickens, goats, horses, cattle, with excellent road access, low taxes and an excellent supply of high-quality water. 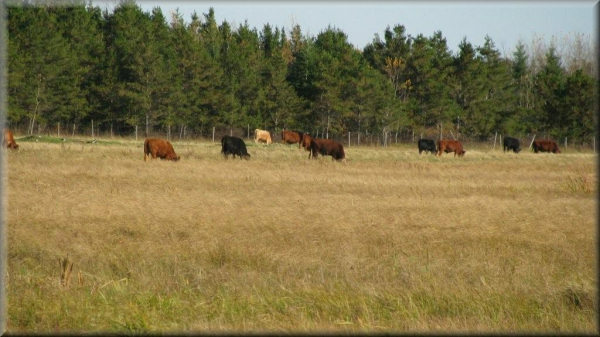 This is truly a sportsman's paradise with ATV-ing, snowmobiling, hunting, fishing and boating all just minutes away. Sellers are ready to retire and are asking $599,000. Please email pinejack@tcmsnet.com for more information. 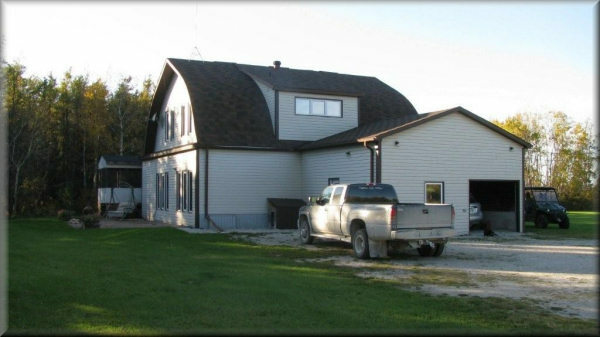 Please visit www.interlaketourism.com for information about the community.